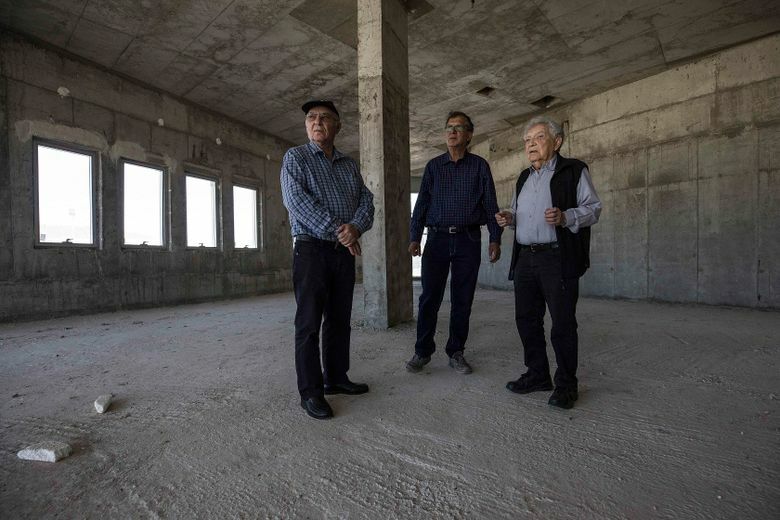 LATRUN, Israel (AP) — Two years after Israel’s prime minister vowed to complete the establishment of a museum honoring Jewish World War II veterans, funds have dried up and an abandoned construction site is all that remains of the grand project. The story of the 1.5 million Jews who fought the Nazis — and the 250,000 who died in battle — has long been lost in Israel amid the larger tragedy of the Holocaust and the Nazi genocide of Europe’s Jews. The museum aims to rectify that oversight, but the remaining warriors, thought to number no more than 5,000, worry they won’t live long enough to see it materialize and accuse the government of stalling because of petty political considerations. 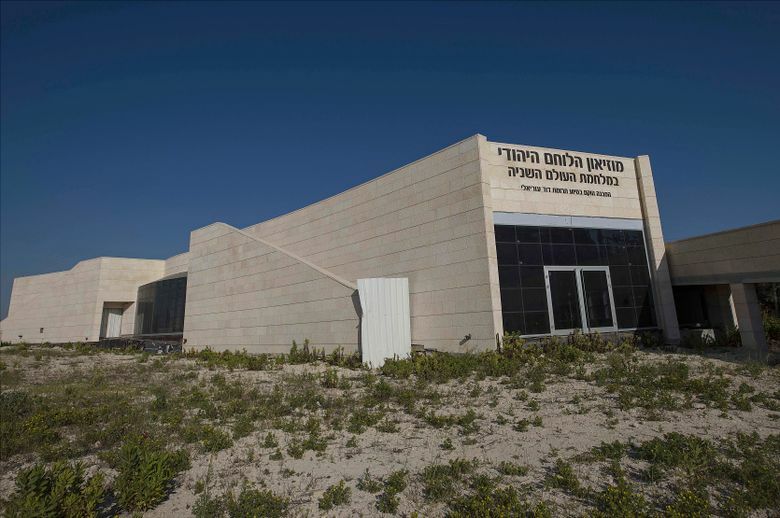 With the backing of then-Prime Minister Ariel Sharon, the Israeli government first committed to the museum in 2002 and vowed to match any funds raised from donors. Successive governments have renewed the pledge and roughly $6 million already poured into the project has gone toward collecting artifacts and testimonies and to erect a 2,200 square-meter (23,500-square-foot) structure in Latrun, near the site of one on the most significant battles in Israel’s 1948 war of independence. Two years ago, after more than a decade of bureaucratic stalemate, both Prime Minister Benjamin Netanyahu and President Reuven Rivlin attended the official ceremony marking 70 years since Victory Day in Europe and acknowledged that the contributions of Jewish veterans who fought with the U.S., British, Soviet and other country’s militaries have often been overlooked. They vowed to find the remaining $10 million needed to complete the museum. But later that year, Netanyahu transferred responsibility for the project to Cabinet Minister Zeev Elkin’s office, and the government did not renew its matching funds commitment. Repeated pleas from aging veterans for Netanyahu to keep his word have gone unanswered, and critics accuse Elkin — who was born in Ukraine — of stalling because he favors securing funds from oligarchs who want to disproportionately recognize the actions of Jews in the former Soviet Union. Elkin denied the accusations and said that as a grandson of a veteran himself he has a great incentive to see the museum come to fruition. He said the association tasked with establishing the museum had failed in its mission and the government’s hands were legally tied. He called on the association to either quickly find a donor or step aside and let the government handle the project instead. The prime minister’s office declined several requests for comment. Chaim Erez, a retired military general and chairman of the association, believes Jewish organizations abroad should participate in the financing, but ultimately it was up to the government to make it happen. “This is a national project that the state has to establish and has to take pride in,” he said. The bad blood has put a damper on efforts to correct the historically distorted narrative of Jews being mere victims of the Nazis who sheepishly marched to their death. On Monday, Israel marked its annual memorial day. Officially, the day is called “Holocaust and Heroism Remembrance Day.” But over the years the emphasis has turned almost exclusively toward the Holocaust part rather than the heroism. The 550,000 Jewish-American soldiers who fought with the Allies, for instance, are often overlooked, including those who were among the first to liberate the Nazi death camps, often comforting the dazed, emaciated prisoners in Yiddish. There are no museums devoted solely to Jews who fought the Nazis. Individual memorials exist in Israel, and a dwindling population of Soviet veterans still struts out on Victory Day, their medals pinned on old uniforms. The Yad Vashem museum in Jerusalem also has exhibits devoted to the partisans and rebels in the various ghettos. But veterans say these are just snippets, and the museum in Latrun will be the one place that will serve as their legacy. “This is also the story of the Jews. We participated massively,” said Peter Arton, 95, a Czech navigator in Britain’s Royal Air Force, who said a third of his squadron was Jewish. Currently, the Museum of the Jewish Soldier in World War II stands as a white elephant facing American, British and Soviet tank models used in the war. The vacant interior is silent but for flapping wings of pigeons that have taken shelter inside. Baruch Shub, who headed the Organization of Partisans until it shut down last year due to lack of funding, said the museum’s status was indicative of the Israeli government’s approach. He accused the government of diverting away Holocaust compensation funds and neglecting survivors, veterans and projects aimed at benefiting and memorializing the victims.